When it comes to neurofunk, Addictive Behaviour are one of our favourite labels. Between their commitment to quality vinyl releases and their talent for signing tracks that balance dancefloor chops with musicality (and avoid tearout cliche), they’re pretty much setting the bar for independent dancefloor D&B, and frankly they’re putting some of the bigger labels to shame. Their latest effort from Minor Rain continues that fine tradition with three new cuts from Slovakia’s finest. 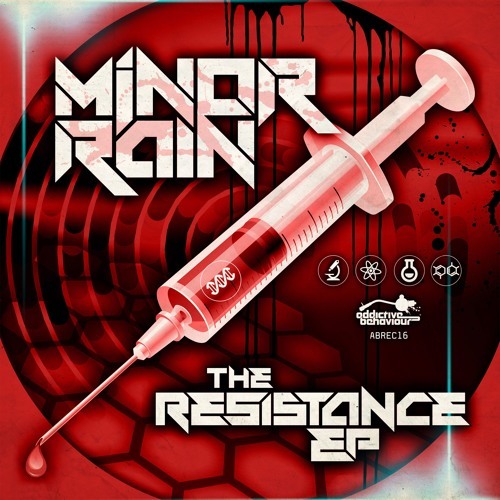 Lead track Resistance keeps things gritty with tons of crunchy bass texture and hefty drum hits to provide a refined and detailed take on the traditional dark roller, and tasty stuff it is too. Elsewhere on the EP Going Crazy combines some pretty “pew pew” synth lazer action with a robotic riddim and a cheeky vocal hook for the EP’s most light-hearted track. Last up, Hydra smashes the riddims up into a gloriously chaotic ensemble of beats and bass that swerves from rolling and rhythmic to angular and gnarly at will. Wicked stuff! Check out the clips below and hit up the usual stores to grab a copy on red vinyl or digital right now. This week’s dancefloor weapon comes from Future Funk Music and Pulsate, who closes out his new EP with a storming remix of Minor Rain’s Villain. Massive pads and shimmering synths build tension on the intro before giving way to a throbbing, hyper-kinetic bassline, cheeky stabs and a hammering drum line. The groove on this one is fantastic and the energy levels couldn’t be much higher; check it out below and grab the EP from the Future Funk bandcamp page right now. 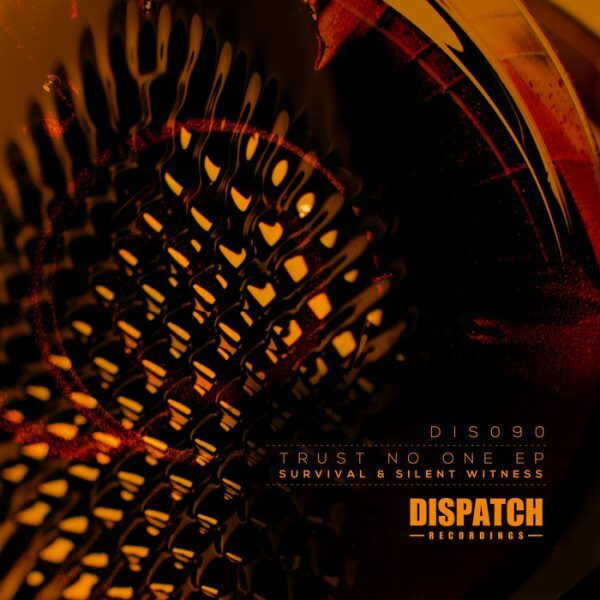 Dispatch return with another top class techy release and this time it comes courtesy of Survival & Silent Witness. As you’d expect from these two the release offers up chunky slabs of tech funk with plenty of groove and bassline pressure; title track Trust No One edges it out for us as the Dojo favourite, but Cutter is no slouch either, slicing up the dance with an ominous bline and crisp snares a plenty. On top of the two fresh tracks the EP also features the results of the recent remix contest, with Renegade Hardware’s Minor Rain serving up the winning remix of Fletcher alongside the minimal drum workout stylings of Depth Mode’s remix and Diecast’s atmospheric 140 flex. Can’t say fairer than that really! As usual you can cop this one on vinyl and digital from the Dispatch Store right now; general release to follow from Monday. Get to it! Addictive Behaviour keep the releases coming thick and fast, with a new single from Slovakian producer Minor Rain. 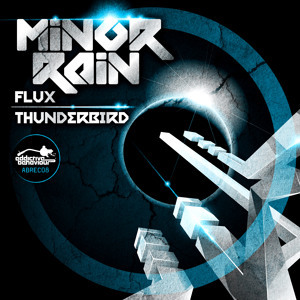 Flux leads the single with a dark, sci-fi infused neuro roller. 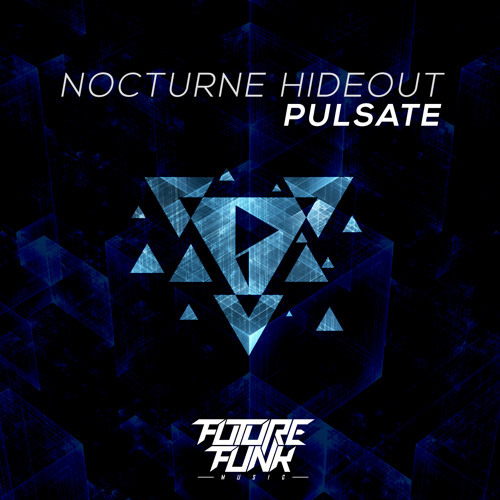 Crisp drums, growling bass and hypnotic melodies come together, and the composition avoids the hyper-active bassline stylings that sometimes spoil modern neurofunk tracks, preferring a simpler but no less hefty set of bass riffs. Thunderbird follows on with a similar vibe – tight kicks and snares and a driving bass riff provide the backbone of the tune, with atmospheric pads, bleedy melodies and FX icing the proverbial cake. Super detailed production! Check out the clips below – you can grab this now from Beatport, with worldwide digital and vinyl release due on December 8th. Hardware continue their unstoppable onslaught of neurofunk batterers with a fresh new EP of collabs from some of the biggest names on their roster. Maztek & Cern team up for the titular Multiverse, dropping big beats and a disgusting, squelchy set of bassline modulations. Next up regular duo Optiv & BTK get together with Cold Fusion on a techstep roller that harnesses the spirit of 90s sci-fi influenced D&B to great effect. The pick of the bunch for me comes on Dose & Cern’s irresistible One At A Time – rolling breaks, tight atmospheres and a memorable vocal snippet combine for a lethal dose of dancefloor tech with some tasty drum edits for added flavour. Finally the label’s upstarts get together to close out the EP with a solid slice of glitched up neurofunk from Subtension, Trilo & Minor Rain. Check out the clips below and grab this on vinyl and digital from June 9th. As an added bonus, Subtension has recorded a cheeky studio mix to promote the release and it’s packed full of fresh dubs from the man himself alongside tracks from the EP and cuts from the wider world of D&B, all with a rolling techy vibe. Check it out! Hardware start a new chapter for up and coming producers with the first in their Compound series of EPs. Trillo turns in an accomplished dark stepper with Defer and Minor Rain delivers an energetic neuro workout on Regenerate. For me though the highlights come on Klax’s Vendetta with its heavy half-time tribalism and Subtension’s big bad MC led stomper Break The Rules. I’ve been looking forward to more from Subtension since his excellent release on Samurai Music last year so it’s great to hear new beats landing on the mighty Hardware! Check out the beats below and grab this one from your favourite digital outlet now.